In a step to end the “War of Drugs,” several world leaders have called for the legalization of all drugs. 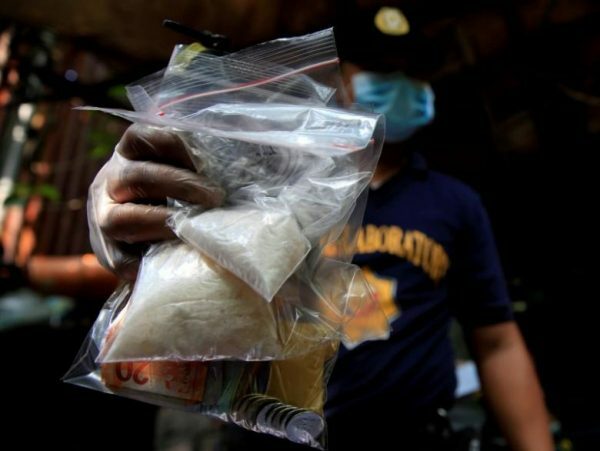 “Citing failed drug policy, the Global Commission on Drug Policy’s annual report advocates the removal of both civil and criminal penalties for drug use and possession,” the report stated. The Committee also denounced the “barbaric actions” of Philippino President Rodrigo Duterte, who has previously called on the public to execute people involved in the drug trade. More than 3,600 people were killed during Duterte’s first 100 days in office. “After years of denouncing the dramatic effects of prohibition and the criminalization of people that do no harm but use drugs on the society as a whole, it is time to highlight the benefits of well-designed and well-implemented people centered drug polices,” Former Swiss President Ruth Dreifuss said. They argued that some countries have already done away with criminal penalties for personal drug possession, while still punishing drug traffickers/dealers. As previously reported, researchers have found in a clinical trial that psychedelic drugs could be used io treat depression and addiction. The study found more positive then negative results in the study’s 20 participants. The study, headed by Professor David Nutt and Amanda Feilding of the Beckley Foundation, found that LSD and the active ingredient in “magic mushrooms” called psilocybin could help depression, alcoholics and possibly even drug addicts in a way traditional methods of therapy cannot. In the United States, marijuana for medicinal purposes is legal in Alaska, Arizona, California, Colorado, Connecticut, Delaware, Hawaii, Illinois, Maine, Maryland, Massachusetts, Michigan, Minnesota, Montana, Nevada, New Hampshire, New Jersey, New Mexico, New York, Ohio, Oregon, Pennsylvania, Rhode Island, Vermont, Washington, and Washington, D.C.
Other States have legalized medical marijuana for limited use including – Alabama, Florida, Georgia, Iowa, Idaho, Kentucky, Louisiana, Mississippi, Missouri, North Carolina, Oklahoma, South Carolina, Tennessee, Texas, Utah, Virginia, Wisconsin and Wyoming.